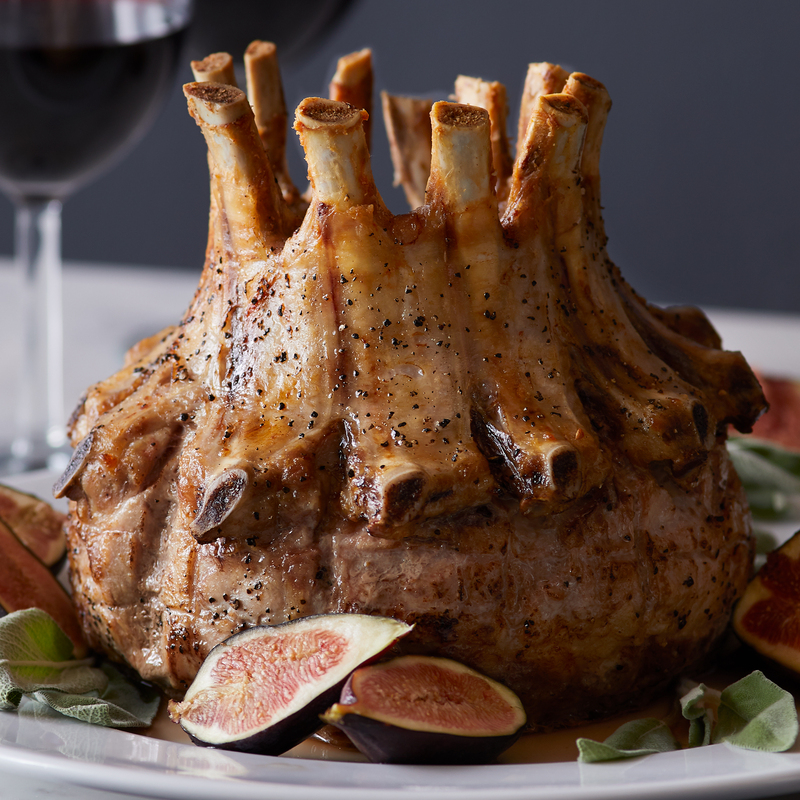 This frenched rib pork loin roast is tied in the shape of a crown for a truly impressive presentation that’s easy to prepare. 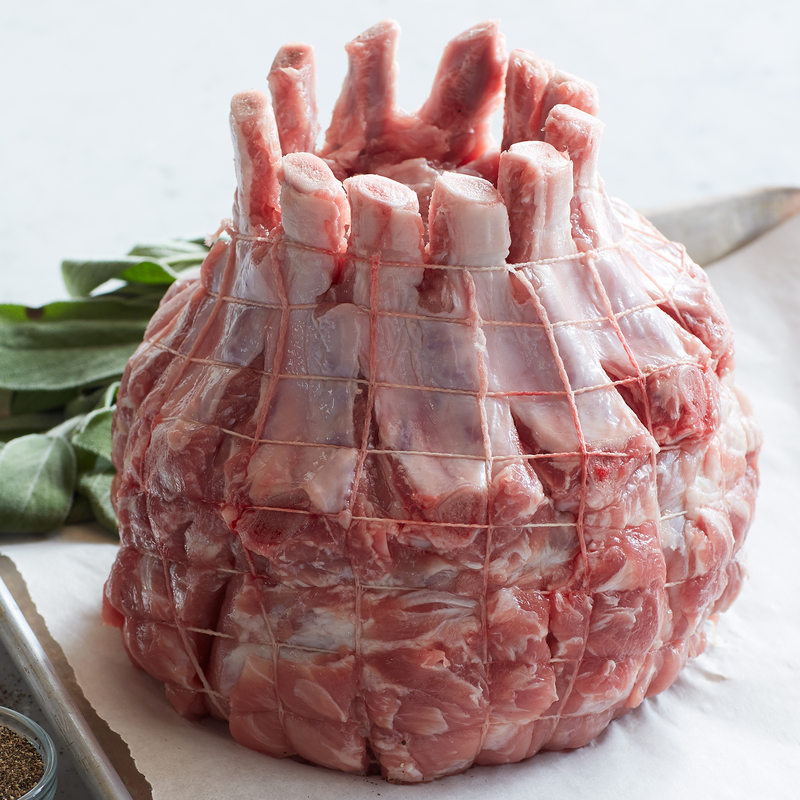 You can fill the center with your favorite stuffing or seasonings to complete the dining experience. Approximately 6.5 lbs. Ships frozen raw.